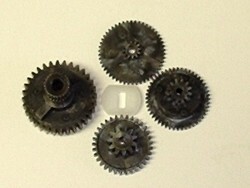 Replacement Karbonite gear set for Hitec HS-45 Servo. Original factory parts. 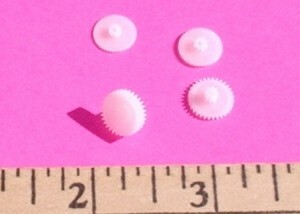 Replacement Nylon gears for your Hitec HS-50 servo. 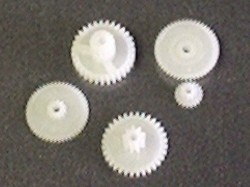 Replacement Nylon gear set for Hitec HS-55 Servo. Original factory parts. 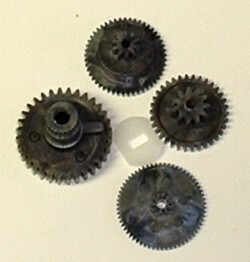 Replacement Karbonite gear set for Hitec HS-65HB Servo. Original factory parts. 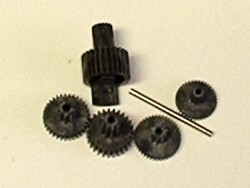 Replacement Nylon gear set for Hitec HS-81 Servo. Original factory parts. 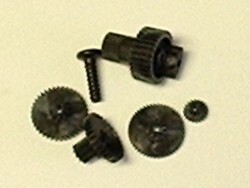 Replacement Nylon gear set for Hitec HS-85BB Servo. Original factory parts. 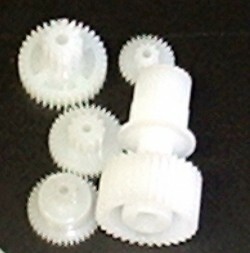 Replacement Nylon gear set for Hitec HS-205/225 Servo. Original factory parts. 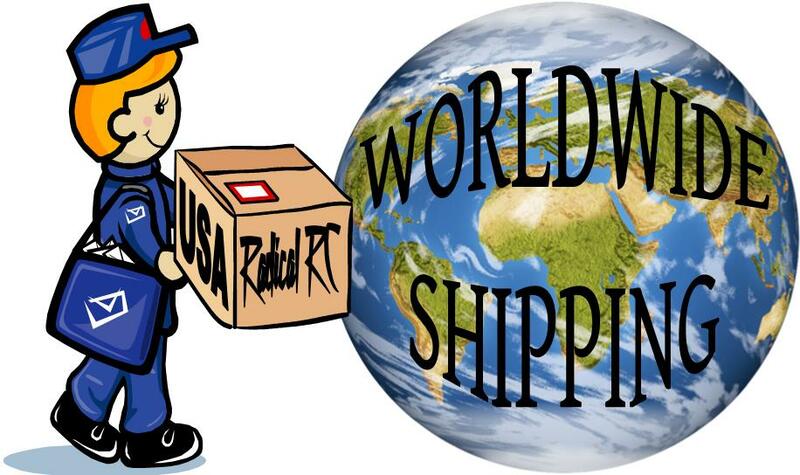 Replacement Karbonite gear set for Hitec HS-475HB & HS-5475HB servo. Original factory parts. Replacement Karbonite gear set for Hitec HS-635HB Servo. Original factory parts. Replacement Metal gear set for Hitec HS-625MG Servo. Original factory parts. This geartrain contains one plastic gear. Replacement Metal gear set for Hitec HS-645MG & 5645MG Servo. Original factory parts. This geartrain contains one plastic gear. Replacement metal gear set for Hitec HS-81MG Servo. 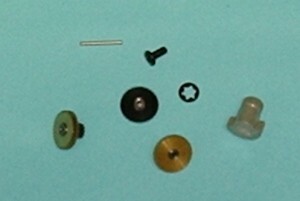 Original factory parts. 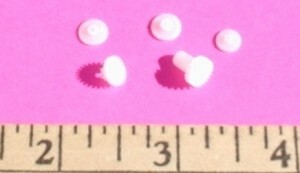 Set contains 1 nylon gear. Fits Power HD 1370 servos. Fits Power HD 1600 servos. Fits Waypoint 038 plastic gear servo.